I'm cheating a bit. Instead of talking about the last book I read, I'm going to say a few words about the book I've just started reading. "In the summer of 1862, a group of young artists led by the passionate and talented Edward Radcliffe descends upon Birchwood Manor on the banks of the Upper Thames. Their plan: to spend a secluded summer month in a haze of inspiration and creativity. But by the time their stay is over, one woman has been shot dead while another has disappeared; a priceless heirloom is missing, and Edward Radcliffe's life is in ruins. 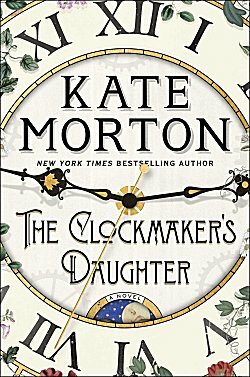 Told by multiple voices across time, The Clockmaker's Daughter is a story of murder, mystery, and thievery, of art, love, and loss. And flowing through its pages like a river is the voice of a woman who stands outside time, whose name has been forgotten by history, but who has watched it all unfold: Birdie Bell, the clockmaker's daughter." I think I decided to cheat because, this time around, I get to be two people instead of just one. Once again, Kate Morton has written a novel with two timelines-- one in the present day and one back in 1862-- and once again, I find myself identifying with the main characters in both. I'm loving Elodie Winslow's job as a London archivist and the intelligent, introverted person that she is. And since I have often found myself drawn to an old house, I can easily identify with her reaction to Birchwood Manor. Moreover, Birchwood Manor is just the sort of place that the "woman outside time," Birdie Bell, would choose to stay. Birdie Bell, the down-on-his-luck clockmaker's daughter who has a story that only Elodie Winslow will be tenacious enough to learn. Does it sound as though I'm hooked already? Well, I am, and I'm going to cut this post short so I can get right back to the book! 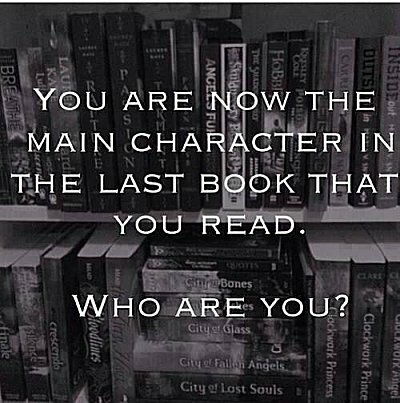 What book are you starring in this week, and what's your character's name? Inquiring minds would love to know! I am Kate Goff, an artist who's moved with her husband from the US to a small French town in Burgundy. I want to fit in in the small town, but I'm not 'quite' there yet. Then, there's a murder, people take sides, and I'm caught in the middle! Read more about me in Susan Shea's Love and Death in Burgundy. I remember reading that book. She does have a bit of a tough time fitting in.